The sixteenth-century Zabalaga farm house. Photo: Mikel Chillida. Chillida Leku, the private outdoor museum and sculpture park dedicated to the Spanish sculptor Eduardo Chillida, will reopen to the public on April 17, eight years after it partially closed due to financial struggles. The institution has been accessible by appointment only since January 2011. 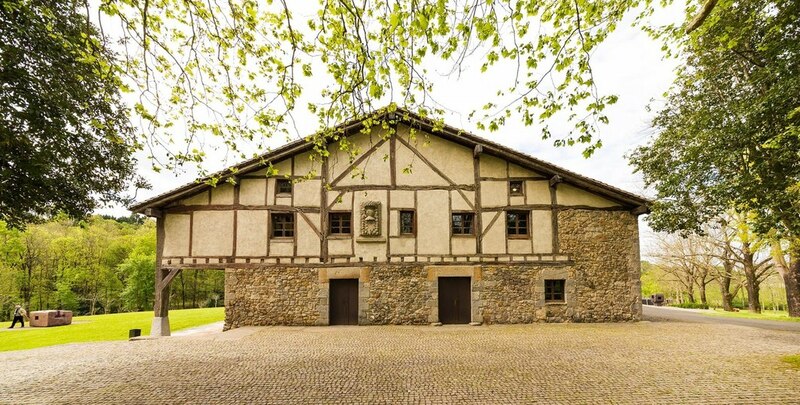 Located in Basque Country, on the outskirts of Hernani near San Sebastián in Spain, the site comprises a sixteenth-century farmhouse that was converted into an exhibition space and nearly thirty acres of land, on which around forty of the artist’s sculptures are installed. Lotura XXXII (Union XXXII), 1998, at Chillida Leku. Photo: Iñigo Santiago. The restoration project and reopening of the museum and park were backed by Hauser & Wirth, which announced in November 2017 that it had taken on the representation of the artist’s estate. The renovation is being carried out by the Paris-based Argentinean architect Luis Laplace in close collaboration with local architect Jon Essery Chillida, a grandson of the sculptor. The Dutch landscape architect Piet Oudolf, who is known for designing the gardens along New York’s High Line, will also introduce “subtle new landscaping elements” into the grounds. Mireia Massagué, the former head of the Gaudi Exhibition Center in Barcelona, was appointed director of Chillida Leku in October 2018. Kicking off its revamped program is the exhibition “Eduardo Chillida,” which will feature works spanning Chillida’s career, dating from the late 1940s to 2000. Curated by the sculptor’s son Ignacio Chillida, the survey will provide insight into the artist’s creative development, his use of materials, and the evolution of his ideas throughout his lifetime. The show will include “Gravitaciones,” a series of sculptures made from paper that highlight negative space, and “Lurras,” a body of work created with chamotte clay, as well as a presentation dedicated to the artist’s public sculptures, which can be found in over forty cities around the world.